Professor Sun-Wei Guo received his Master of Medicine degree from Fudan University Shanghai Medical College, and his M.Sc. and Ph.D. from the University of Washington. He was Assistant and then Associate Research Scientist at University of Michigan in Ann Arbor, Associate Professor at University of Minnesota, and tenured full Professor at Medical College of Wisconsin. He also served a three-year term directorship at the Institute of Obstetric and Gynecologic Research, Shanghai Jiao Tong University School of Medicine. Since 2010, he has been Professor at Shanghai OB/GYN Hospital, and the Department of Biochemistry and Molecular Biology, Fudan University Shanghai College of Medicine. He also is an Adjunct professor at the Dept. of OB/GYN and Reproductive Sciences of Michigan State University College of Human Medicine in Grand Rapids, Michigan, USA. 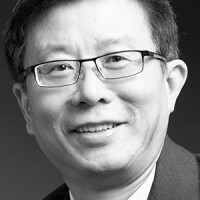 Professor Guo is a member of Faculty 1000 in Medicine since 2007 and has published over 130 research papers in international journals. He has given lectures at numerous research institutions and at professional meetings. He is credited as being the first to propose and provide evidence that endometriosis is an epigenetic disease. He served as Associate Editor for Human Reproduction for two terms, and now is an Associate Editor for Reproductive Sciences, Gynecologic and Obstetric Investigation, and Gynecology and Minimally Invasive Therapy. He is a member of the Board of Trustees of the World Endometriosis Society and the Asian Society of Endometriosis and Adenomyosis, and a member of the WHO Expert Working Groups (EWG3A) on Female—Infertility work-up and general management, Reproductive Health and Research. He is recently ranked as one of 10 top specialists in endometriosis by ExpertScape (http://www.expertscape.com/leaders/endometriosis). He is the co-founder of Asian Conference on Endometriosis (ACE).